Claire first started Violin at the age of 6, and thanks to a thriving musical community, she soon began lessons on the Piano and Recorder. 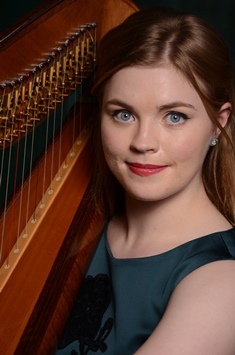 At the age of 15, Claire was fortunate enough to commence studies on the Harp with a County Scholarship at the High Wycombe Music Centre, and after only three years (and endless hours of practice! ), she was accepted onto the Harp course at Birmingham Conservatoire. After joining Birmingham Conservatoire, studying under Catherine White, Claire took part in numerous concerts in both Birmingham and London having been conducted by notable conductors such as Elgar Howarth, Michael Seale, Lionel Friend and Edward Gardner. Whilst studying at Birmingham conservatoire, Claire was accepted on an Erasmus exchange program at the Norwegian Academy of Music, Oslo in 2010 and studied under Willy Postma in Autumn 2011. Claire has been in masterclasses taken by Isabelle Perrin, David Watkins, Imogen Barford, Charlotte Seale, Lucy Wakeford, Sunniva Rødland Wettre, Danielle Perrett, Skaila Kanga, Sebastian Lipmann, Catrin Finch and Eira Lynn Jones. Claire is now the Harpist of Aalesund Symphony Orchestra in Northern Norway, Queen’s Park Sinfonia in the West Midlands, and is hired regularly as a freelance Harpist throughout London and the South East. Highlights of Claire’s career to date have been taking part in a live broadcast of Tchaikovsky’s The Nutcracker on the Norwegian Radio Station NRK, and playing in Kings Place, London, with the London Chamber Music Society. Claire also can teaches Harp, Violin, Piano, Recorder and Music Theory. Claire has an ample of experience teaching large groups of children and taking music workshops for young children. 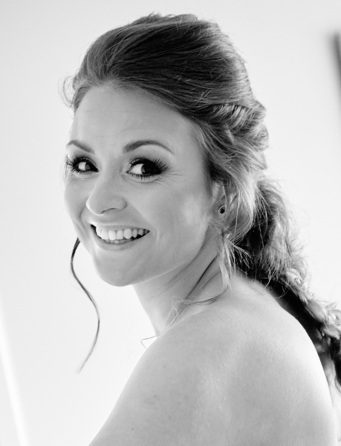 Claire is available to perform for weddings, private functions and events. She regularly performs not only as a soloist but also in chamber groups and in orchestras as a freelance Harpist.